I added more items to the Mobile Science Lab. The main new item is a WeatherFlow WEATHERmeter. This is a pretty neat bluetooth device that captures wind speed and direction, temperature, humidity, and barometric pressure. 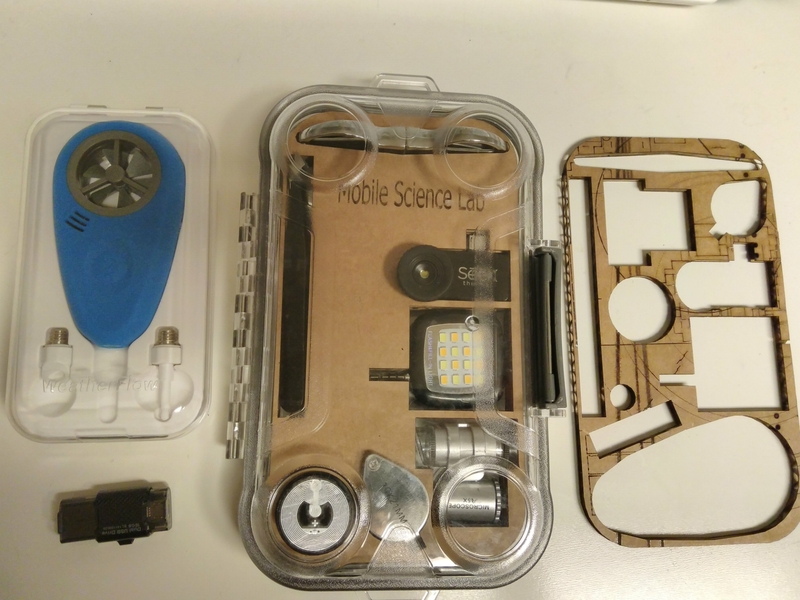 The Mobile Science Lab in the middle with the new WeatherFlow WEATHERmeter to the left along with a USB drive that works with cell phones. The new layout is on the right. New stuff means I needed to update the case. I fiddled a bit to get everything to fit. I think the next iteration will end up including layers. I will need to find some laser safe foam core or something light like that. The cardboard won’t hold up all that well when there are removable sections. An initial cut of the new layout on some old cardboard that is scarred up from the laser cutter. I think it looks pretty neat this way. I ordered a much larger Pelican case tonight. 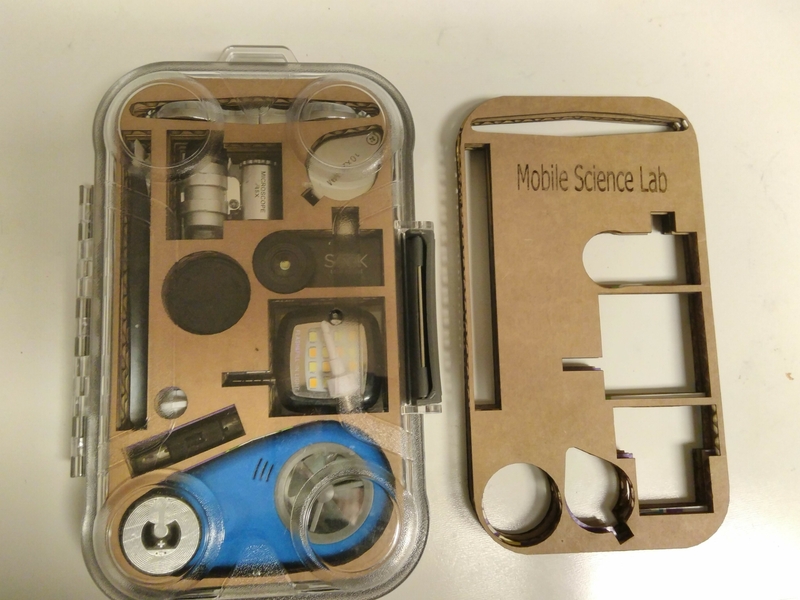 The SCiO I am ordering at the end of the week should fit into the new case. I’ve also added some NFC stickers a few places to make using the bits a little easier. The case has my contact info embedded in it. The WEATHERmeter is now set up to just tap the phone against it and the correct App will load. The new layout is a lot more full than the previous version. You can see one of the NFC stickers on the lower left corner.